Hairdressing salons have become almost ubiquitous with that cloyingly sweet scent of overpriced hair products, soulless monochrome interiors and irksome holiday talk. And despite such homogeneity, you’ll easily find yourself paying upwards of £40-£50 for any simple, run-of-the-mill cut and blow-dry. Nestled within the streets of the Northern Quarter, however, there’s a place with a little more charm and a lot more bang for your buck. Rubber Soul Hair is a hop, skip and a jump from the heart of Manchester, based just shy of the main M4 hubbub on Whittle Street. Having only opened at the end of summer 2014, the salon is still a young name on the scene, but for this it makes no apologies. Instead it has swooped in with a stride in its step, confident of what it wants to offer and following through with every detail. 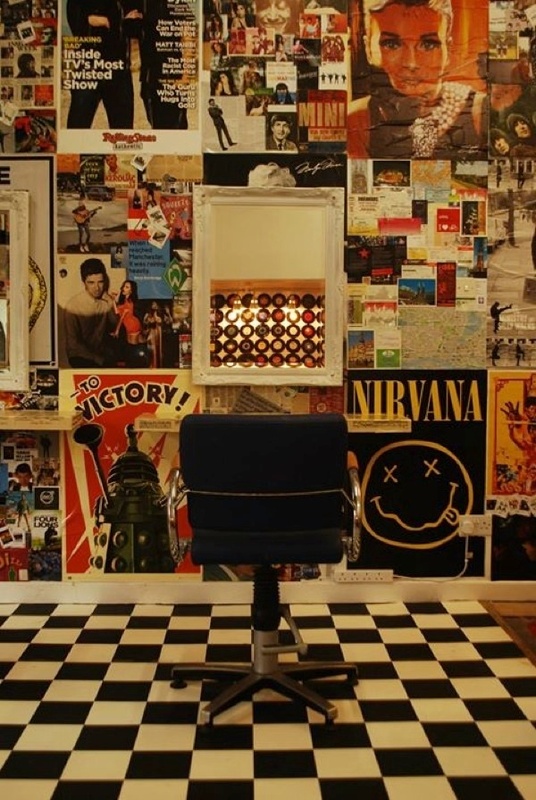 The place is kitted out with nods to the soul, Mod and rock scenes that its name alludes to, with guitars hanging precariously up high, classic film and music posters plastered across the walls, a stunning checkerboard floor and, as perhaps the pinnacle, a beautiful record player. Confessing that it had been quite a while since my last chop, I was assured by senior stylist Dave that together we can get my hair back on form – not in a bogus, hollow or particularly corny way, more so in a manner that suggests it’s as much my job as it is his, which I liked in its frankness. More importantly, though, I was also spoken to with an assumption that I’d be returning, and what could be done next time as part of the process – a much-welcomed promise to follow through that many of my former hairdressers have always neglected. Dave put some ZZ Top on – the early stuff, not the later ‘boyband stuff’ – and he admitted that at this point customers were usually offered some wine or beer, but the busy New Year period had cleaned them right out. A nice touch, even if I wasn’t able to capitalize on it this particular time. Instead, he jabbered away in the warm, genuine manner that hairdressers aren’t usually famed for, somehow managing to avoid the mention any forthcoming holidays or, amazingly, resorting to questions of how the recent festive period had been for either of us – impressive considering it was the beginning of January, when most conversations are rooted in such pleasantries. As I left, I scribbled my name on their reception desk, which was already crawling with signatures and doodles that have clearly become genuine endorsements. Undoubtedly many are lured in by a reasonable price list, with a women’s cut and blow dry coming in at a decent £25, a men’s for £15 and a student discount of 30%, but it’s perhaps the friendly, extremely laid-back service that will attract most to back. It’s a neat little place, where their love of music ‘for the soul, not the pocket’ is mirrored well in its approach to the customer. 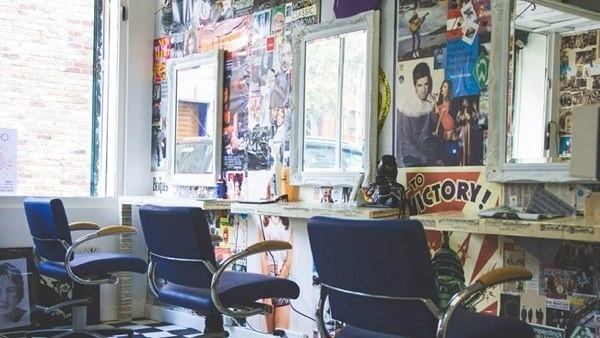 Browse our deals for hairdressers in Manchester.